Alan Dershowitz said prosecutors are engaged in "an epic battle for the soul and cooperation of Michael Cohen," the longtime lawyer to President Donald Trump whose office, home and hotel room were raided by the FBI this month. Dershowitz, a Harvard law professor emeritus, told ABC News Chief Anchor George Stephanopoulos on "This Week" Sunday that prosecutors could potentially be threatening Cohen with a long prison term if he fails to cooperate. 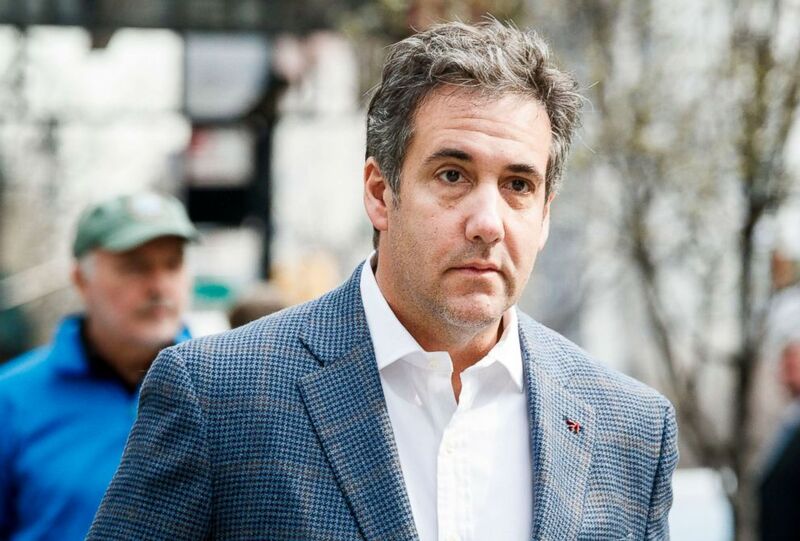 There is "a sword of Damocles hanging over his head," said Dershowitz, who appeared on a "This Week" panel of lawyers discussing the implications of the April 9 raids during which investigators seized Cohen's electronic devices. Attorney Michael Cohen walks from his hotel to his apartment in New York, April 12, 2018. “After those raids, how serious is the threat to Cohen and Trump?” Stephanopoulos asked Dershowitz. 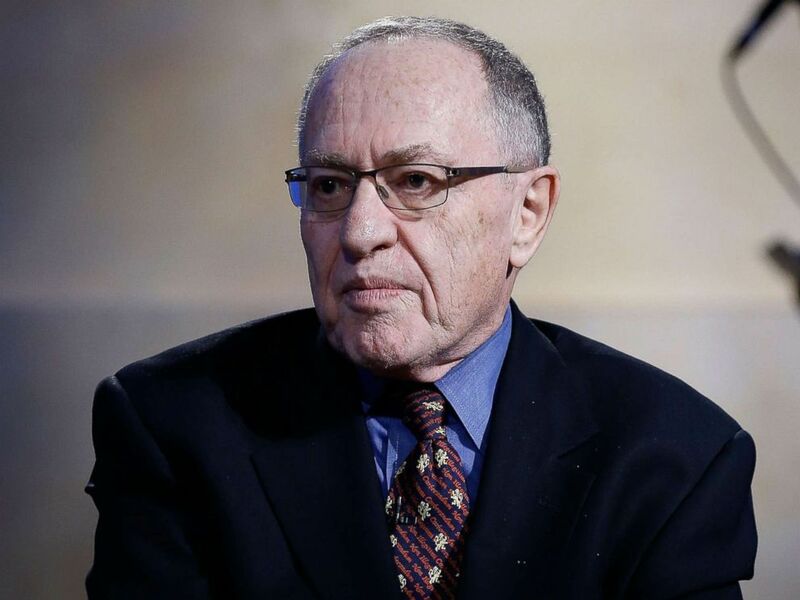 “Oh, it’s a very serious threat,” Dershowitz said. “They have enormous abilities to really put pressure" on a witness. But the law professor also said he's not sure whether Cohen will "flip" to become a prosecution witness who could possibly give some kind of evidence against his client, Trump. "I think it's very hard not to flip when they’re threatening you with long imprisonment, but I don’t think we know enough," Dershowitz said. Another panelist, former federal prosecutor Mimi Rocah, disagreed with Dershowitz. Rocah, now a criminal justice fellow at Pace University Law School, said she believes Cohen will cooperate with prosecutors because he's vulnerable. Dershowitz said Trump has "a unique weapon" on his side in any investigation -- the presidential pardon. However, he said in regard to Cohen, "I don't think he's going to be pardoned." But ABC News chief legal analyst Dan Abrams, who was also part of the panel, had a different take. Alan Dershowitz attends Hulu Presents "Triumph's Election Special" produced by Funny Or Die at NEP Studios, Feb. 3, 2016 in New York City. Cohen is under criminal investigation in the Southern District of New York and has been for months, court documents released on April 13 and obtained by ABC News confirm. According to the documents, Cohen “is being investigated for criminal conduct that largely centers on his personal business dealings.” Cohen’s attorney said the investigation started, in part, following a referral from special counsel Robert Mueller, who is heading the investigation into Russia's interference in the 2016 presidential election and possible ties to Trump associates. After the April 9 raids by the U.S. Attorney’s Office in New York, Cohen and Trump’s attorneys argued that many of the items seized fall under attorney-client privilege and therefore should not be viewed by prosecutors until they, or a neutral third party, have an opportunity to review them.